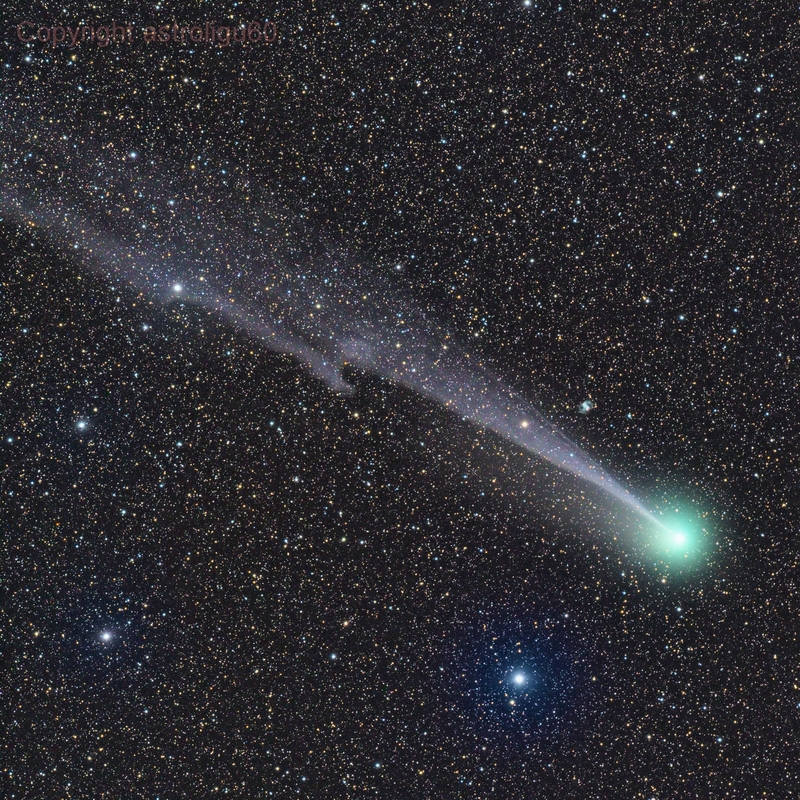 Explanation: Buffetted by the solar wind, Comet Lovejoy's crooked ion tail stretches over 3 degrees across this telescopic field of view, recorded on February 20. The starry background includes awesome bluish star Phi Persei below, and pretty planetary nebula M76 just above Lovejoy's tail. Also known as the Little Dumbbell Nebula, after its brighter cousin M27, the Dumbbell Nebula, M76 is only a Full Moon's width away from the comet's greenish coma. 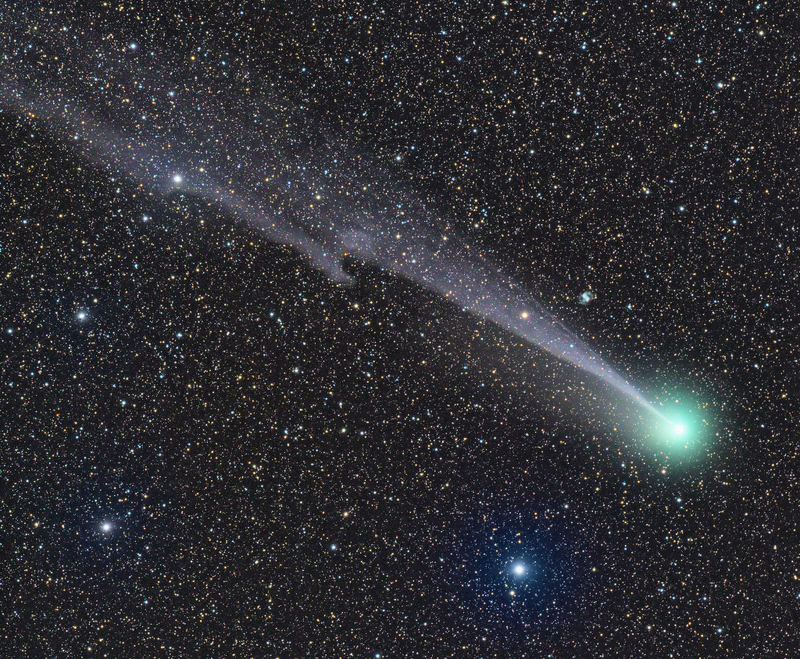 Still shining in northern hemisphere skies, this Comet Lovejoy (C/2014 Q2) is outbound from the inner solar system some 10 light-minutes or 190 million kilometers from Earth. But the Little Dumbbell actually lies 3 to 5 thousand light-years away. Now sweeping steadily north toward the constellation Cassiopeia Comet Lovejoy is fading noticeably more slowly than predicted and is still a good target for small telescopes.